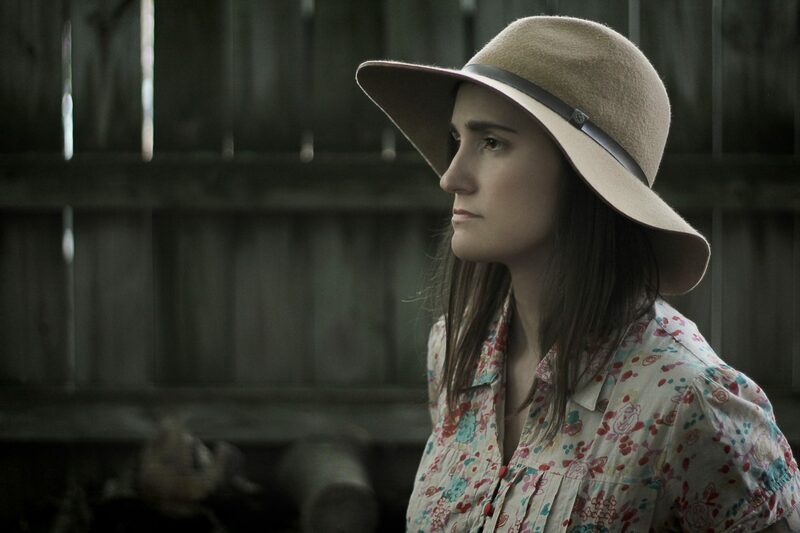 Don’t think of Hannah Bingman’s music in terms of genre, in terms of folk. Think instead of the test pilot trading steel for aluminum, metal bolts for plastic, swivel seats for bean bag chairs — everything unnecessary pared back or discarded in the name of flight. Since she first peered from behind a too-big acoustic guitar, Bingman has taught herself to strip away everything other than the soul-baring, leaving listeners with only this: Herself. It’s a sound distilled and clarified like mountain melt running down a stream, but at no times is it precious or pretentious. Even at its most gut-checking, her music is affected with a kind of effortlessness. Don’t be fooled by this. Bingman has worked for every inch of altitude in the sky she’s come to call her own. In that sky, the one she colors with the blues of isolation and bright greens and purples of self discovery, earthy understanding — not loftiness — is king. Her music, her voice, sparkle without adornment, her songs project a wisdom miles beyond her years. And if you see her rising up against the horizon, know it’s not the jet fuel of rock star dreams she’s burning. Hers is the rare helium mix of talent and awareness. Student, farmer, mail carrier, woodworker, instructor, arts council president, prison librarian, Appalachian Trail hiker, musician. Hannah Bingman has held many titles throughout the years, but the one that’s been glued to her through them all is musician. Bingman sees herself as a songwriter first, guitarist second, and singer third. These experiences continue to provide depth and meaning to her lyrics, maturing her songwriting process she began at the age of 14. Bingman grew up in rural Pennsylvania where the arts didn’t flourish but the landscape did. She found mentors and a community in the area’s music scene. By age 16, she was playing regularly in that scene. Since then, Bingman’s journey over the last decade and half has been one guided by where the wind takes her. Bars, coffee shops, basements, living rooms, festivals, farms, rehab facilities, and just about every corner of a venue in driving distance. Not to mention, three albums, the latest being Loam (2013) where she weaves the stories of farmers, inmates, and lovers into a pattern of interconnecting songs, leading the listener through its story. In 2006, she grabbed the top prize for the Susquehanna Folk Music Society’s songwriting contest. Bingman became a Regional Round Finalist for the Mountain Stage NewSong Songwriting Competition in 2011, and grabbed third place in the Pennsylvania Heritage Songwriting Competition in 2016. She’s played opening spots for the likes of Christine Lavin, Michael Glabicki, Jeffrey Gaines, Kaki King, Ellis, David Rovics, the Infamous Stringdusters, and Ann Rabson, among others. Ten years ago, she found herself in a blues duo with Doug McMinn, and most recently formed a band, the Dilly Beans, with her pal Nell Hanssen from the band Chicken Tractor. These days, Bingman calls Lancaster, Pennsylvania home. She has fully embraced her role as a folksinger in today’s political climate, opting to share home recordings and writings as they come and playing wherever people may gather.